Can You Go 3 Months Without Income? This 26 Year Old Accounting Graduate Defied His Parents To Become A Real Estate Agent, Endured 3 Months With Zero Sales & Income, Yet Established Himself As A “Property Hotshot” Within 2 Years! You’ll soon be amazed by Jim’s sheer determination to claw his way to the very top, despite the odds heavily stacked against him. Jim’s hope is that his story can inspire more Singaporeans to fight for their dreams,and never give up no matter what! If you’re reading this, I assume you’re a Singaporean like me, and you know all about the stresses of living in our high-pressure society. My degree was in accounting. So naturally, my first job after graduation was in that field. The harsh truth: I did not like my job. I only studied accounting because my parents thought it could give me a stable career. I had no interest or passion in the subject at all. Sitting at a desk. Crunching numbers. Squinting my eyes at excel sheets. It’s not a bad job, but it’s just not me. Get what I mean? Just like most of you, I spent my youth studying hard, getting a degree and preparing myself for a stable career. Long story short, my ex-company got involved with a real estate project. And I was tasked to liaise with some real estate agents. That’s What I Want Too! So I took a HUGE leap of faith. I gave up the stability of my corporate job to become a real estate agent. And mind you, I knew absolutely NOTHING about real estate, property and housing (at the time). My parents and loved ones were shocked. Those were some of the “comments” (to put it nicely) I got. Needless to say, it was not a popular decision. But still… I went ahead. Because deep down, I knew I could succeed. Someway, somehow… I would find a way. $153.70. A figure I would never, ever forget. That was the amount of money I had in my bank account back then. Ahh… those were the days. The days I lived on Gardenia bread and kaya for all 3 meals. The days a $3 plate of chicken rice was considered a luxury I could not afford. The days I would walk 30 minutes from my house to the MRT station, just so I could save on bus fare. Why? Because after 3 months of hard work and selling houses (or trying to), I did not close a single sale. For a salesperson, we all know what that means: No Income! Despite the tough times… those days shaped my character. Made me stronger. Forged my determination to succeed. Most others would’ve given up. Took the “easy way out”. Found a “proper job” with a monthly salary. But not me. Instead, I borrowed money from my girlfriend! Because adversity breeds strength. I had reached my lowest point. There was only one way forward: Up. After all my trials and tribulations, I was on the verge of closing my first ever sale. Finally. It would make me a 5-figure commission. I needed that so badly. As I made my way to my client’s HDB flat in Clementi, I was already dreaming of my fat commission cheque. At the time, it would’ve been the most amount of money I’ve ever made! But when I stepped in, I could sense something was off. My client had the “should I, should I not” kind of expression. It was clear to see: Doubts had infected my client like a deadly virus. And it meant my commission was on the line. In most cases, this is code for “I’m not interested anymore”. You see, I had been so obsessed with closing the sale for my own benefit, that I forgot the most important thing about being a real estate agent. And that is adding massive value to my clients, and helping them make the best housing decision possible. Thankfully, I remembered this at the last possible instance. So instead of pushing and pushing for the sale to happen, I begun to explain how this purchase can add value to his property portfolio. In other words, I put his needs before my own. And slowly but surely, the doubts were purged, and voila… the agreement was signed! It may seemed a trivial moment to you. But for me, it truly was a life-changing experience. Not only did I close my first ever sale, and got myself out of a real mess, but I gained a valuable reminder of my true mission as a real estate agent. From that point on, I never looked back. Within 2 short years, this “adding value first” method has propelled my career forward at blinding speed. Moral of the story: No matter what you do in life, put other people’s needs before you, and give before you take. Thank you for taking the time to read my story. I hope you enjoyed it, and got inspired by it in some way. 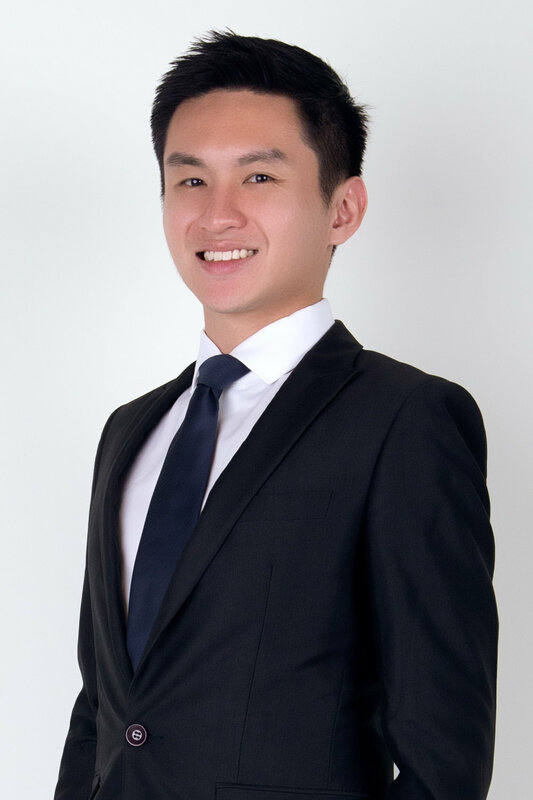 Also, if you’re unsure about any housing or real estate matters, and would like someone to help clarify your doubts, feel free to contact me by Call/SMS/Whatsapp at +65 8333 7213 or via email at me@jimtay.com. I’ll be more than happy to help you, no strings attached. After all, this is my mission as a real estate agent! P.S. I’ll be posting my next article very soon, about how I made a property-related mistake that cost my relatives $126,000! And the thing is, it could have been avoided so easily. Thankfully, I got a second chance to make amends a year after that expensive screw up. I plan to share this deeply personal story, because I don’t want to see other homeowners making the same mistake I did. So do keep a lookout! Is Singapore Public Housing Really All Doom And Gloom? Still Have Questions? Leave Me A Message Below.